Sometimes, finding a treat tiny enough for tiny dogs can be a real struggle. Especially treats that wheat, corn, and soy free - unless you're shopping with Solid Gold! Solid Gold was one of the first pet food companies in the United States using all-natural ingredients in their products. They’re are committed to providing the best food, supplements and skin care products for your pets. Cinna-Bones are sure to be a hit because they are made with the finest quality, all-natural ingredients, and are great for training or an occasional snack. 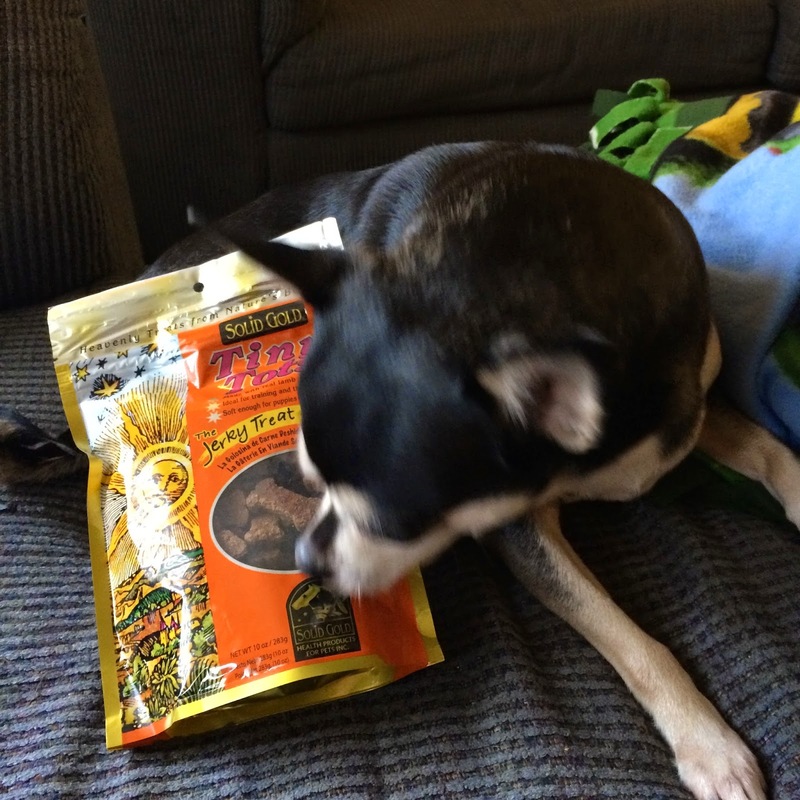 Dogs love the taste and with no added sugar, artificial ingredients or by-products. You can always feel good about using them for your fur baby. If you have a small breed, no worries these great treats can easily be broken into smaller pieces. Not a Cinna fan? Solid Gold carries a Jerky treat line. We love them because they are bite Sized, and made in the USA! 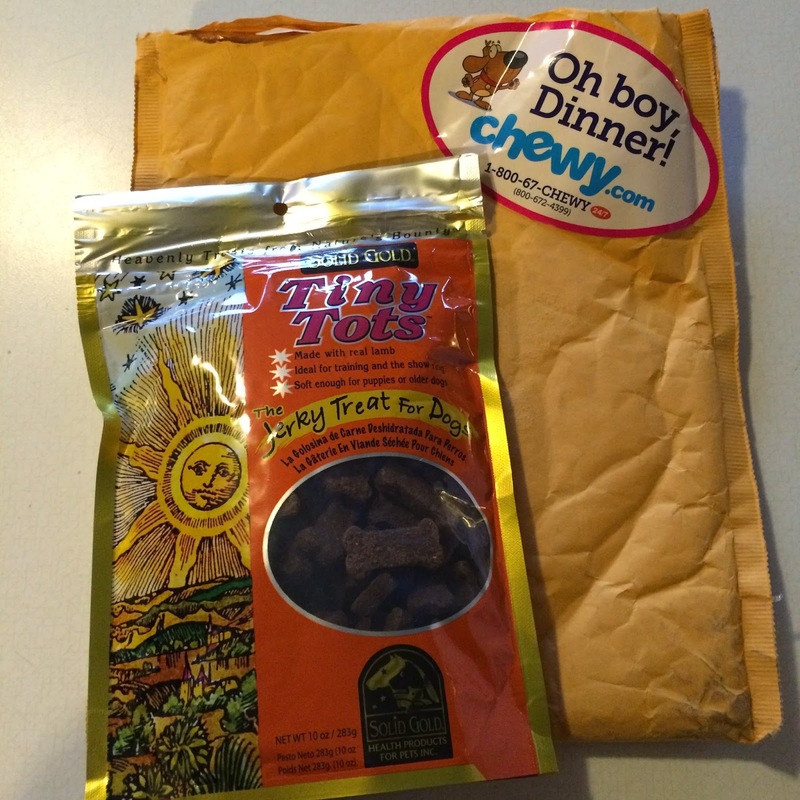 Chewy sent Venus a bag of Solid Gold Tiny Tots Jerky Treats for Dogs to try out, and boy are they perfect for her! These treats are made with real lamb, and without the common allergens that irritate some dogs, including Venus. They smell delicious, are soft and chewy, and keep Venus begging for more. 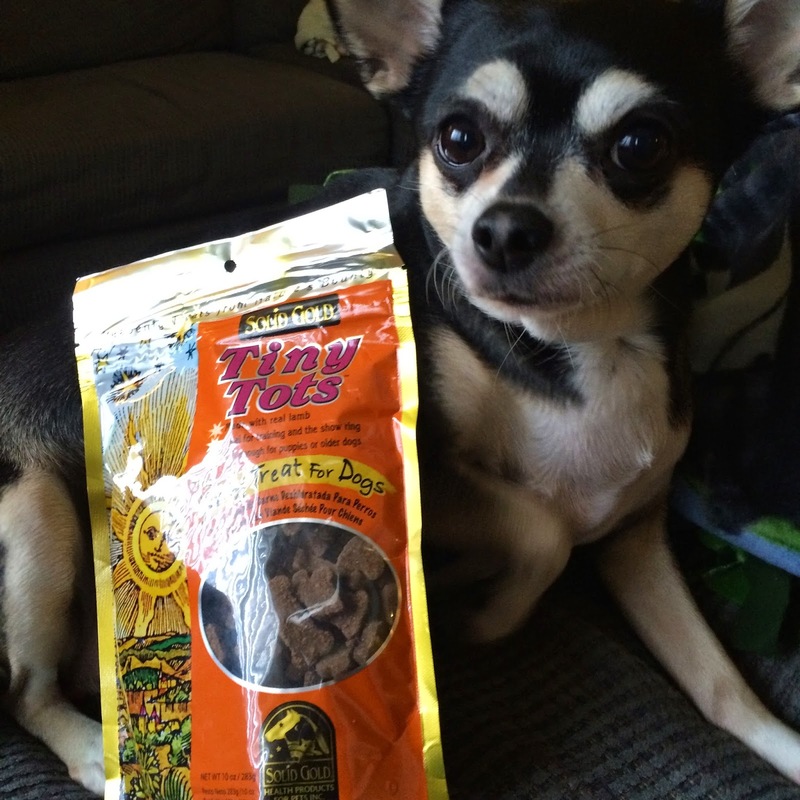 Chewy carries a full line of Solid Gold products - from food, to treats, to supplements - you can find that perfect something your pet's been needing. Never miss an update by following Chewy on Facebook, Twitter, and Instagram; and Solid Gold on Facebook and Twitter.